A Tray of Bliss: Festive Wishes and Seasons Blessings to everyone! Festive Wishes and Seasons Blessings to everyone! 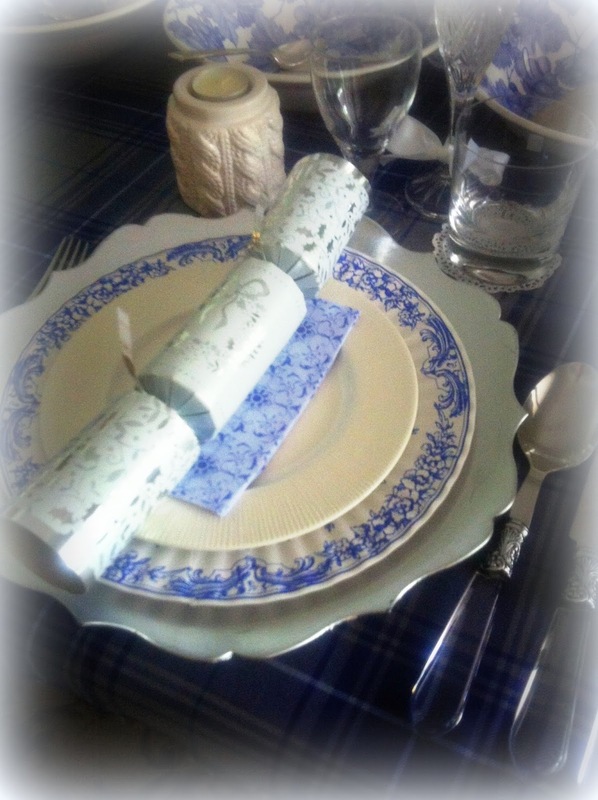 ...a lavish table setting, a simple meal, the company of loved ones. Thankyou everyone for your support here at A Tray of Bliss in 2015. Please accompany me in 2016, as we find new ways to bless our families, our homes, and our lives. jamies on and watch a Christmas movie maybe. 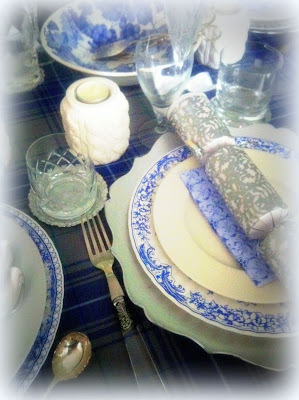 I just knew it would be the loveliest table setting. It's like a breath of fresh air. Best wishes to you and your family for a glorious New Year. Looking forward to 2016 with seeing how we can bless our families and others!! What a sweet thought!! Simply beautiful, my dear friend. I hope your Christmas was extra special :) Looking forward to 2016, sweet Mimi. Love and hugs to you! Such a sweet, Festive post, dear Mimi! 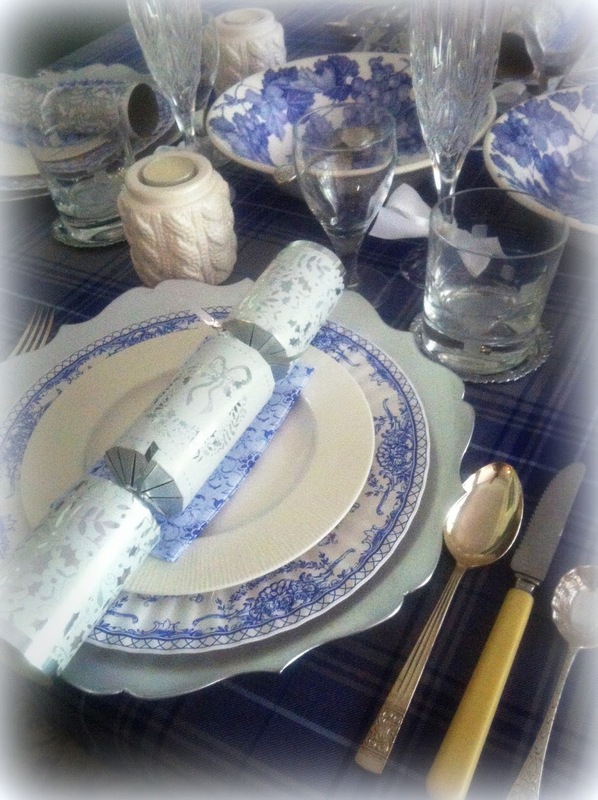 I love your pretty table setting...I have always wanted a blue and white theme for a christmas table! Sop glad you had a lovely christmas too...sending you much dear love and a hug! What a beautiful table! So serene and lovely, just perfect! Simply lovely... as usual. Wishing you and yours a blessed 2016! The table is just lovely, I love blue and white. Dear Mimi, Lovely table. I love table settings. It sets the scene. 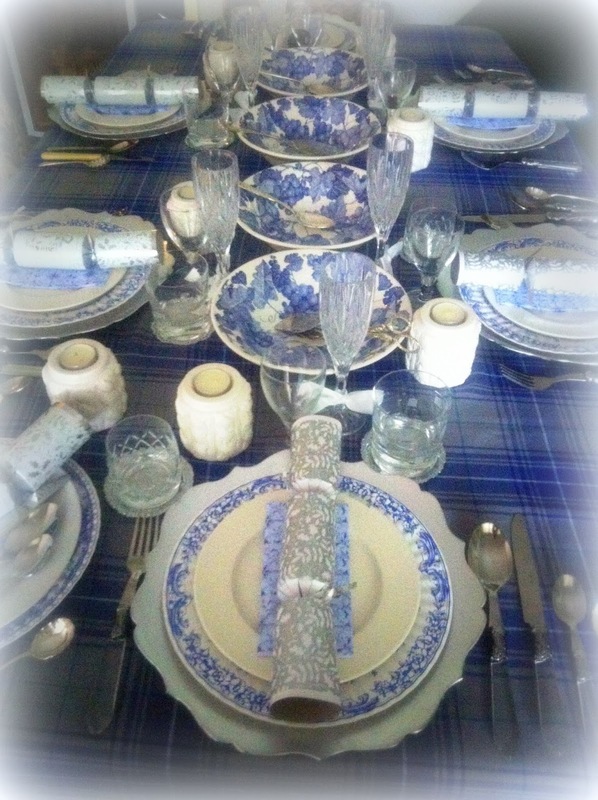 How beautifully you have decorated your table - I especially love blues! I'm so pleased to find your blog at the start of a new year so I can join you on your journey. This is a lovely post!! You know, I also organized huge party this year. I got inspiration for this party from this party that we attended last year. Everyone enjoyed a lot in this party. I would love to host such a fun party at New York event venues too!